Should we feel sorry for developers who are asked to make "voluntary contributions" to the Town to help pay for such things as trails, community entrance signs and public art? These so-called "voluntary contributions" can cost a developer many thousands of dollars. In 2014, at the start of this Council term, the Town collected $628,300 in voluntary trail contributions from developers. This is big money. But what if the developer says no? Do they have an option? Is it a shakedown? Is it legal? Perhaps these "voluntary contributions" are written off by developers as a necessary cost of doing business in Newmarket. Who knows? "I wanted to discuss Community Benefit contributions with you. "Newmarket has been moving forward with significant investment in the community well beyond what can be supported by the tax base and other sources of funding. These investment [sic] include accelerated trail development, community entrance signs, and unique public art features. These Community Benefit investments greatly contribute to Newmarket's growing reputation as a place to live, work and visit. They assist in the attraction and retention of investors, business, employees and residents." "We have been able to make these additional investment [sic] into our community creating a sought after quality of life through generous contributions made by citizens, businesses, organisations and land developers. This has been viewed as a win-win as these community benefit amenities assist in such areas as marketing products and maximising value." "The Community has benefitted from contributions towards these investment [sic] by way of lump sum contributions to contributions in the $1,600 to $2,500 range on a per unit basis depending on the unit size. The Town would be able to offer a charitable donation receipt or recognition to your company for this voluntary contribution to be used by the Town for Community Benefit projects." "Based on your recent advice to the Town it would appear that you are moving forward with your proposed development. Could you please consider assisting the Town with this program and advise me of your intentions in this regard. I will also try to reach out to you to discuss our program later this week." The day before (27 November 2017) councillors had a report before them on so-called "servicing allocations". Until a development - even one with planning approval - gets permission to hook up water and sewage pipes it cannot proceed. In Newmarket, because of capacity constraints arising from the delay in completing the Upper York Sewage Solutions project (which comes on stream in 2024) these servicing allocations have to be rationed. Developments are listed by priority. Three proposed developments (King George, Eagle and Gorham) are down as priority 4 but are fast tracked after votes moved by Tom Hempen and Dave Kerwin. As a result, these developments can now be hooked up, leapfrogging over others. After the vote Bob Corleone’s letter goes out to developers asking for cash. Dare they say no? 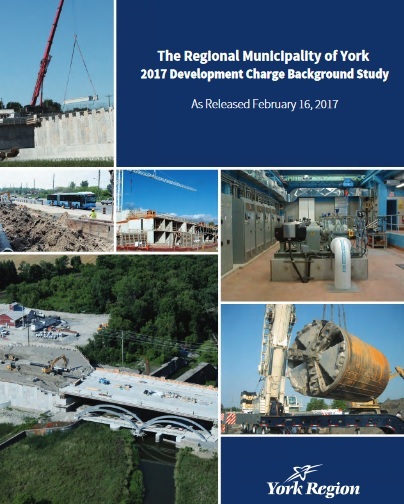 "We found that some municipalities successfully levied additional charges on the industry for a variety of proposed projects with questionable public policy merit. This resulting voluntary agreement is only agreed to because there is no other way of getting approvals, permits or servicing to the project." "For a contribution to be voluntary it must have two willing parties. It is usually the case that the party paying these charges is not willing. Rather, the payment is often made because it would take too long to appeal it to the courts or the OMB and it also creates a difficult working relationship in communities where there will be ongoing future relationships." "For development related discussions, my approach is to confine these discussions to the CAO's office (Chief Administrative Officer) which takes place outside of and after the development is in a position to move forward..."
Even so, the Bill is supposed to get rid of these "voluntary agreements". 59.1 (1) A municipality shall not impose, directly or indirectly, a charge related to a development or a requirement to construct a service related to development, except as permitted by this Act or another Act. The Bill 73 Committee hears from a number of municipalities who say these "voluntary payments" are a good thing and should not be outlawed. MPPs are told they are needed to bridge the gap between what comes in through development charges and the actual costs of growth. Indeed, I recall Bill Hughes, the widely respected Director of Finance at York Region, telling us that growth does not pay for growth. That has always been the monumental fiction. "Development Charges now only pay for approximately 80% of growth related costs. That puts significant pressure on municipalities, which are faced with huge infrastructure deficits as well as demands for new services, and trying to rehabilitate and maintain existing infrastructure." Despite pressure from the Association of Municipalities of Ontario and from some of their member authorities urging the Government to look again at s59.1, Ministers hold fast and the section now appears in the Development Charges Act 1997, as amended. It is now the law of the land. But what does it really mean? "The amendments to the Development Charges Act 1997 prohibit the imposition of additional levies, commonly understood to mean voluntary payments or extra-legal agreements, related to a development. Staff are investigating the definition of voluntary payment agreements to ensure the Region remains compliant in the future. Existing voluntary payments are grandfathered." I don't know if the detectives in York Region's finance department have now unearthed the definition on which so much now turns. I am left wondering how "voluntary" payments can be imposed? I go through life relying on ordinary English usage but once the lawyers start mangling the language we can all get lost. the receipt of funds for public art and public realm. This is what Shelton wants the money for - among other things. Councillors across the Province are now being told, in variations on the same theme, that s59.1 is intended to close the door on "voluntary" payments that may have been sought by municipalities "outside the legislative framework". 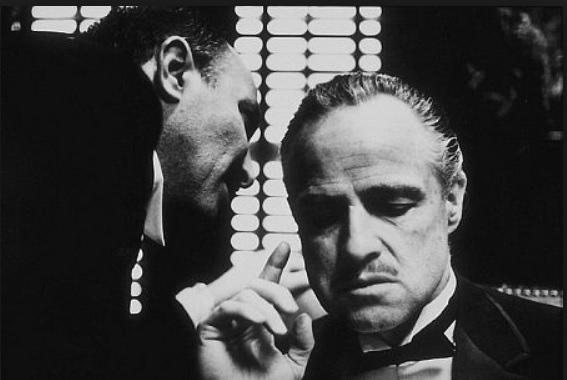 So, in Newmarket, are the voluntary contributions sought by Bob Corleone "outside the legislative framework" or not? Is it OK to lean on developers for cash to fund "public art"? The Town has been upfront in asking for cash for years, even to the extent of telling developers (in 2015) what the Town's "base expectations" are for voluntary contributions for trail, public art and community projects. I look for a statement from Newmarket's resourceful and inventive Treasurer, Mike Mayes, certifying everything is kosher but I can't see it. That's not to say it doesn't exist. It could be staring me in the face. Bob Corleone is now inviting me to meet the Treasurer if I need more information to help me understand the process. He is making an offer I can't refuse.